Make your forklift work like a crane. 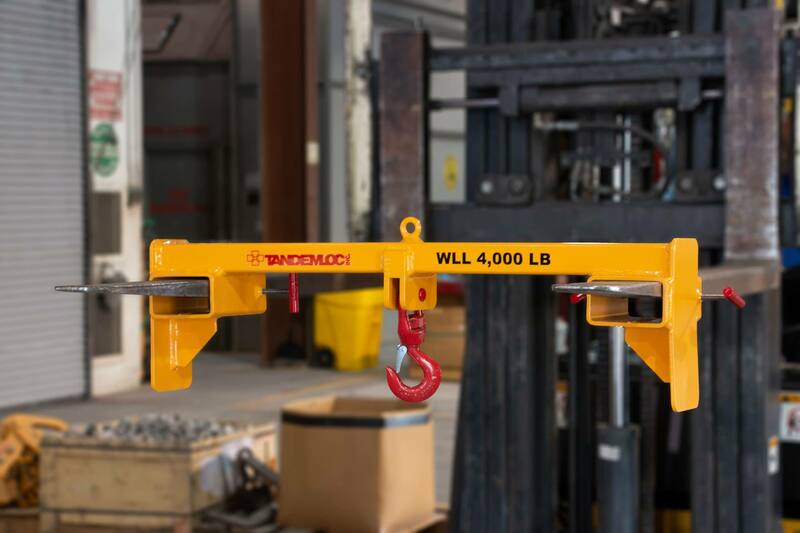 The single swivel hook (with safety latch) provides nearly all the features of a crane at your forks. The two fork design provide added security and stability while the swivel hook allows for a variety of rigging choices for a variety of loading. 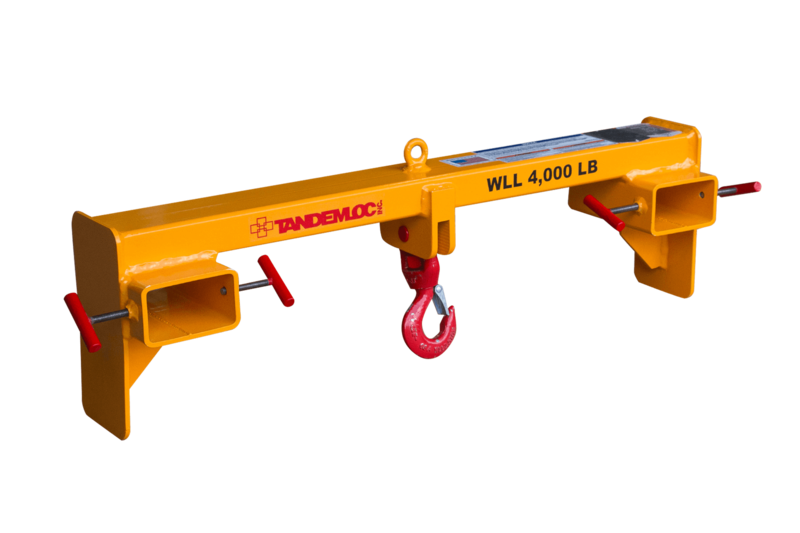 We included a safety chain attach point and recommend using at a minimum a Proof Coil (Grade 30) Chain as your safety chain (not included). 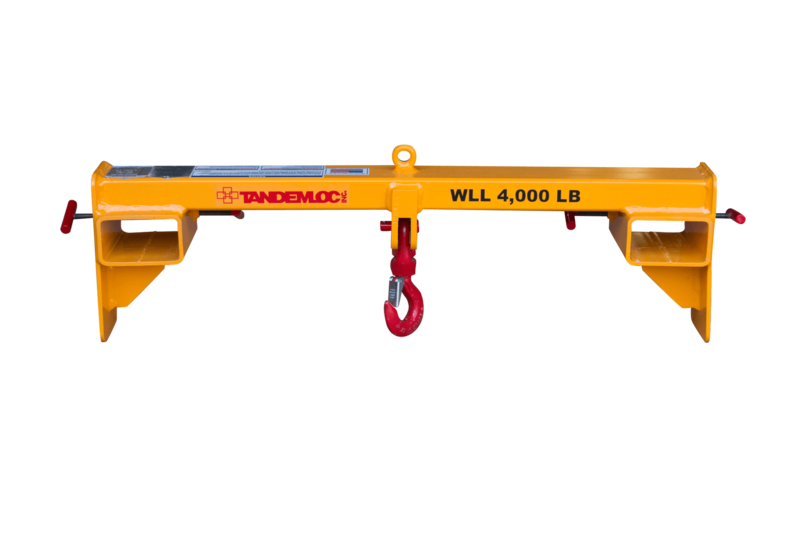 The Tandemloc AS25 Series offer a range of capacities and fork position choices which give you the flexibility needed with your forklift. The extended side plates allow the unit to be stable when not attached and offer ease of installation and simple storage that our competition has not considered.